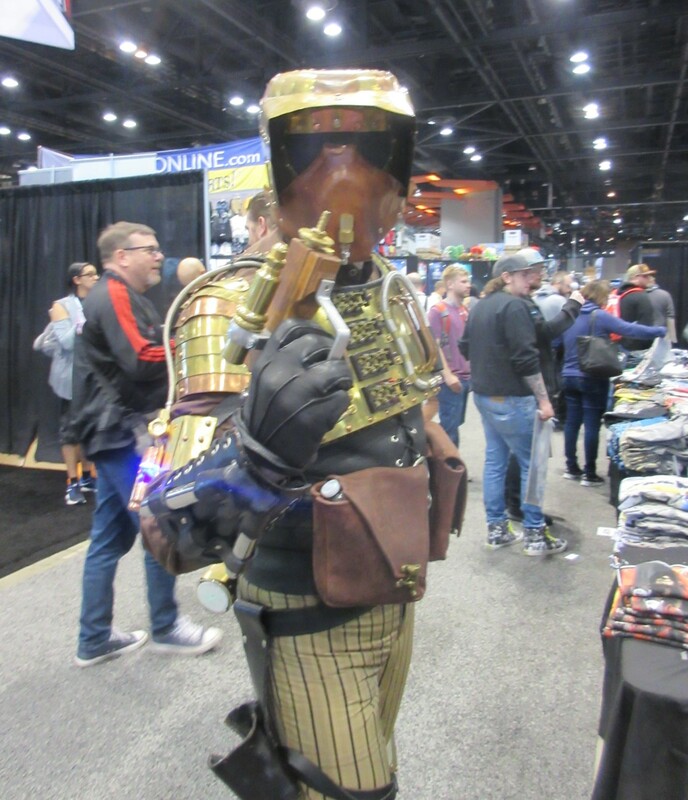 Star Wars Celebration Chicago 2019 Photos #1: Imperial Cosplay « Midlife Crisis Crossover! 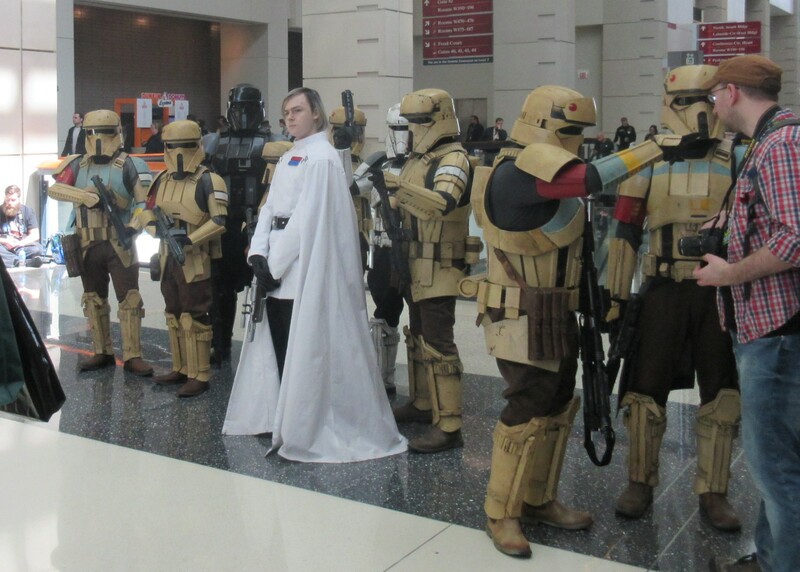 Director Krennic and his team prepare to canvass the area for that pesky Jyn Erso. 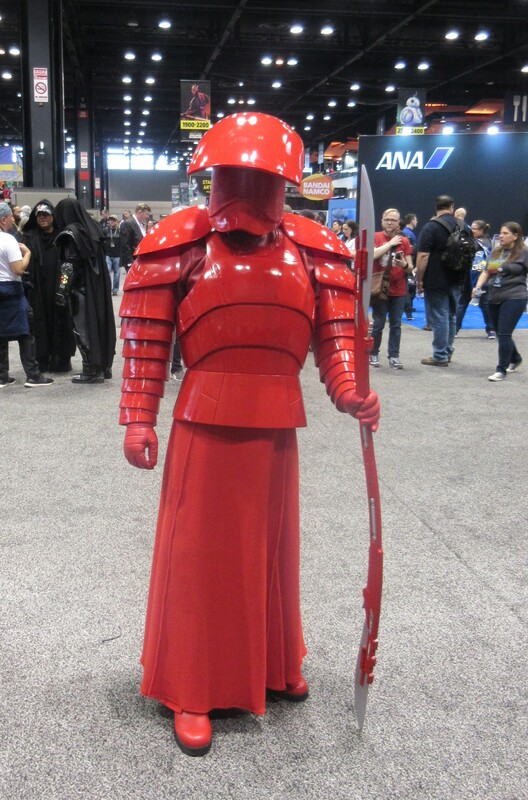 Elite Praetorian Guard from The Last Jedi. 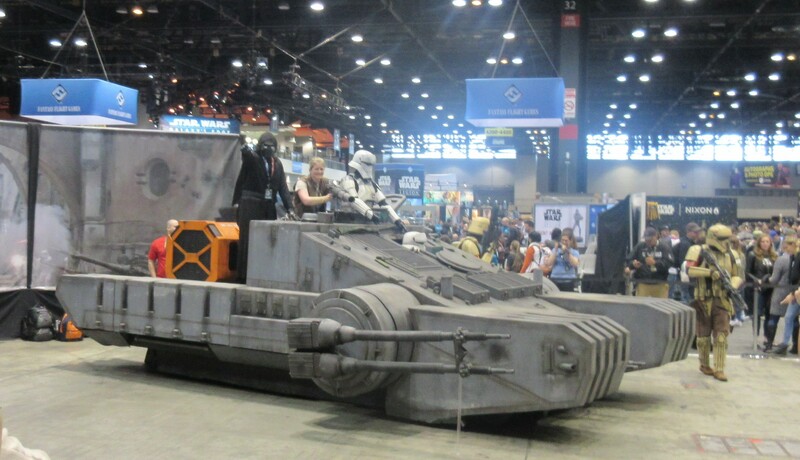 Troopers parade with Kylo Ren atop a TX-225 GAVw tank from Rogue One…as well as a too-happy Rebel. 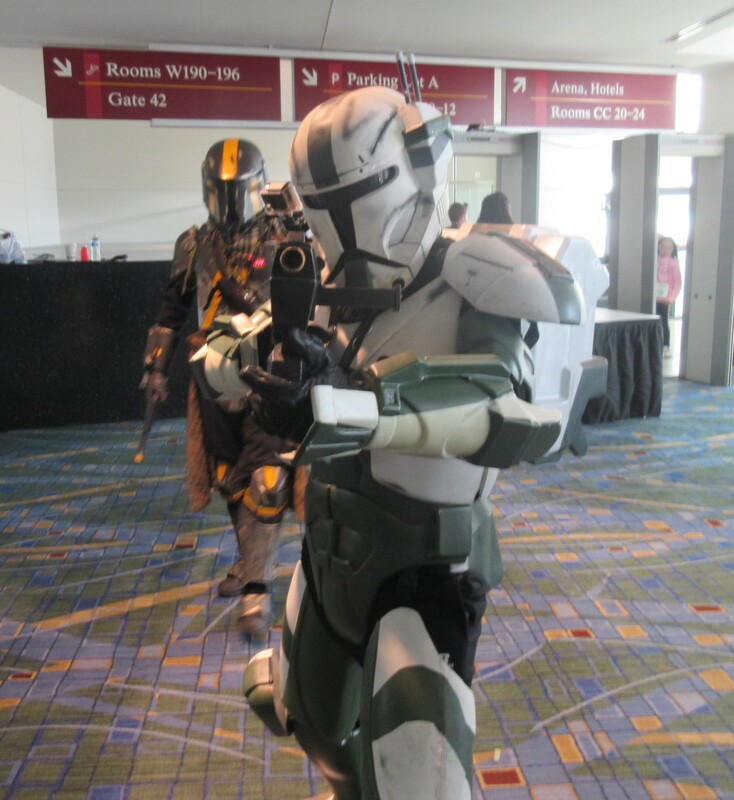 Kanchar, an Imperial officer from Marvel’s current Star Wars canon. 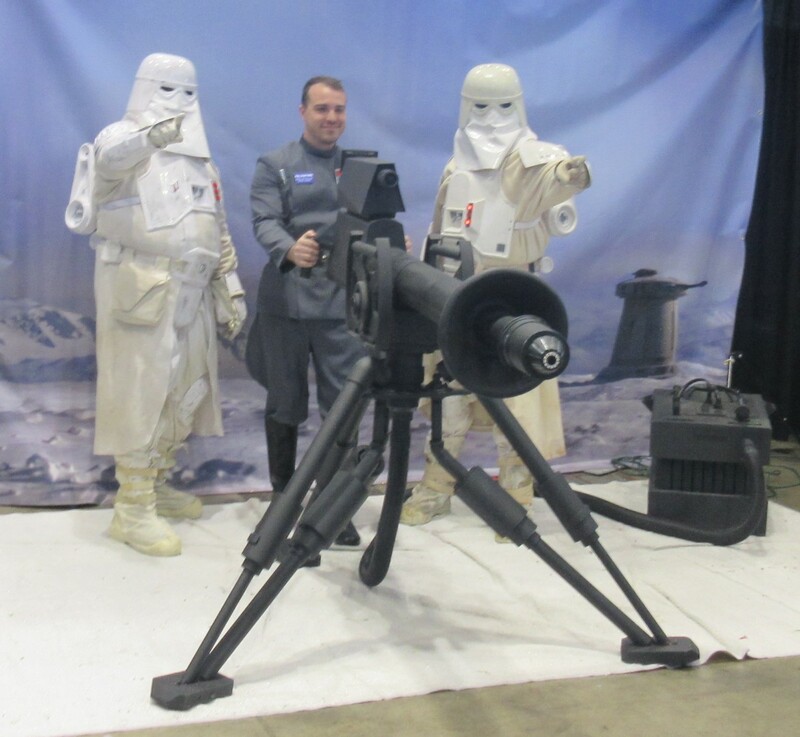 Snowtroopers accompany an Imperial officer who misses getting his hand dirty. 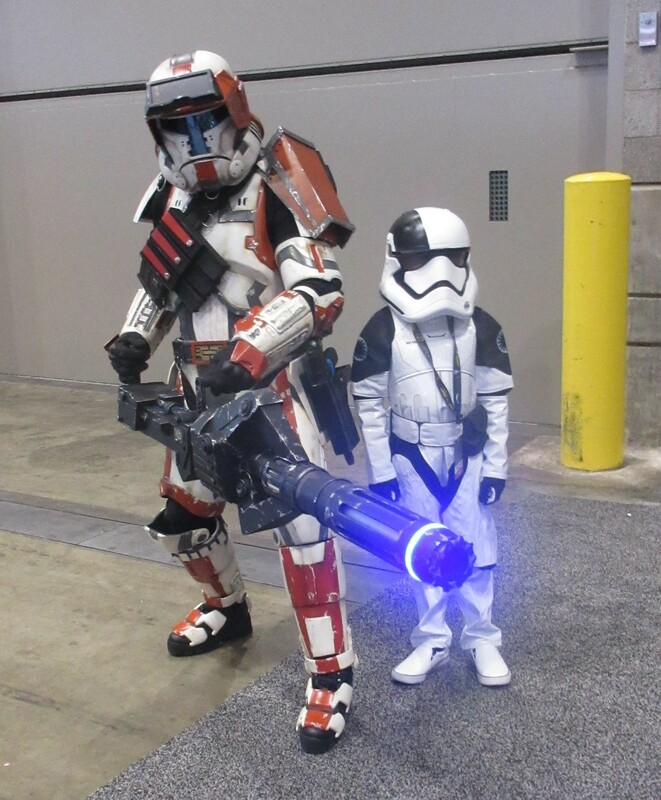 Possibly the most fabulous Trooper armor ever. 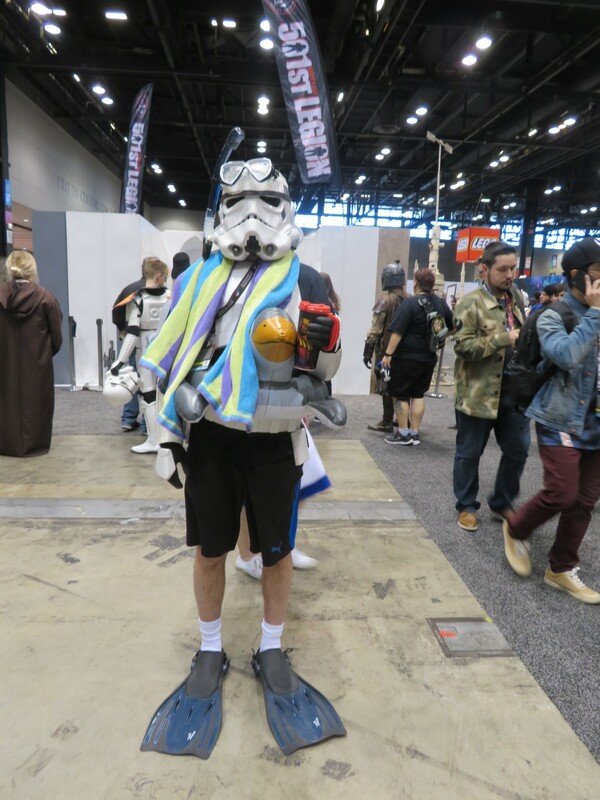 Sometimes even Stormtroopers need a vacation but can’t tear themselves away from their work. 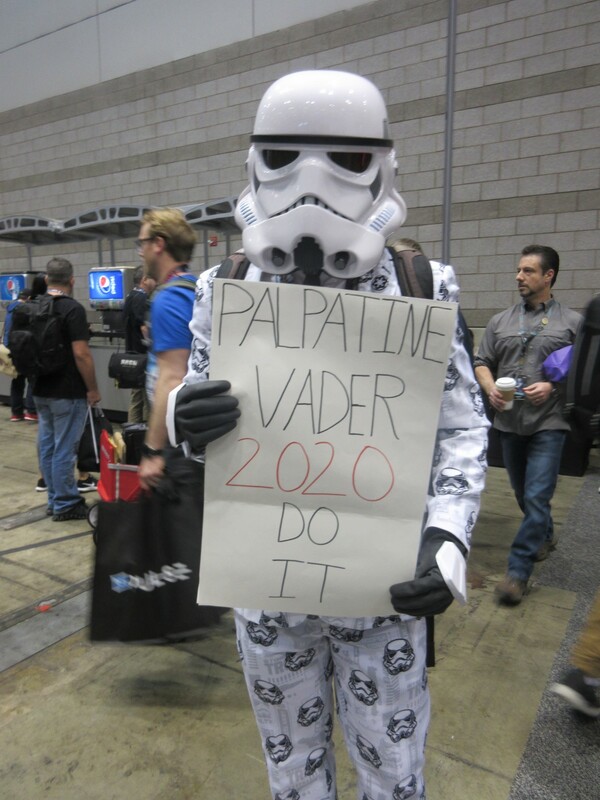 Stormtrooper getting political on the campaign trail. 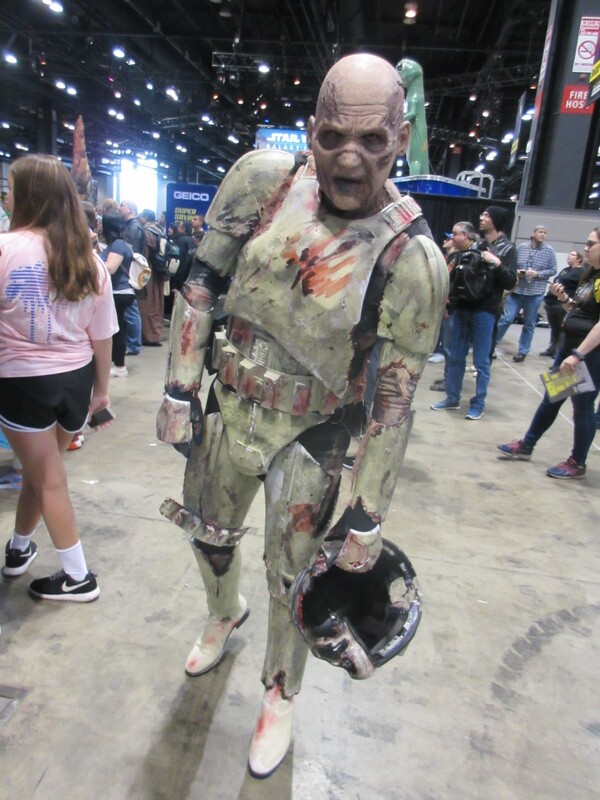 Zombietrooper with realistic slow-shuffling action. 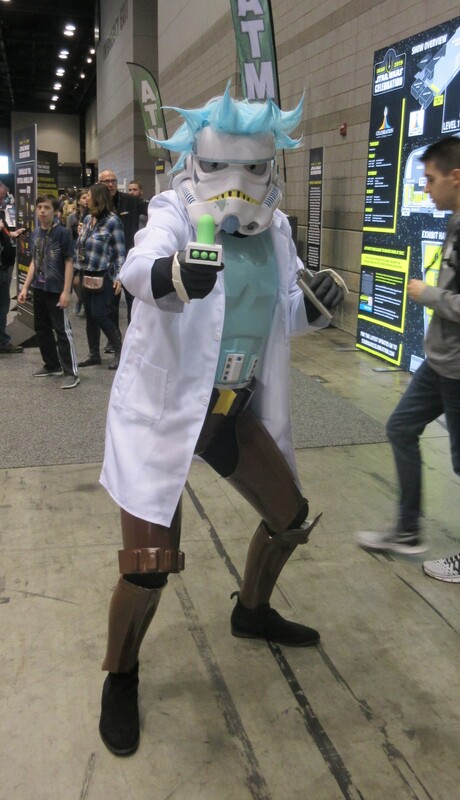 Ricktrooper! 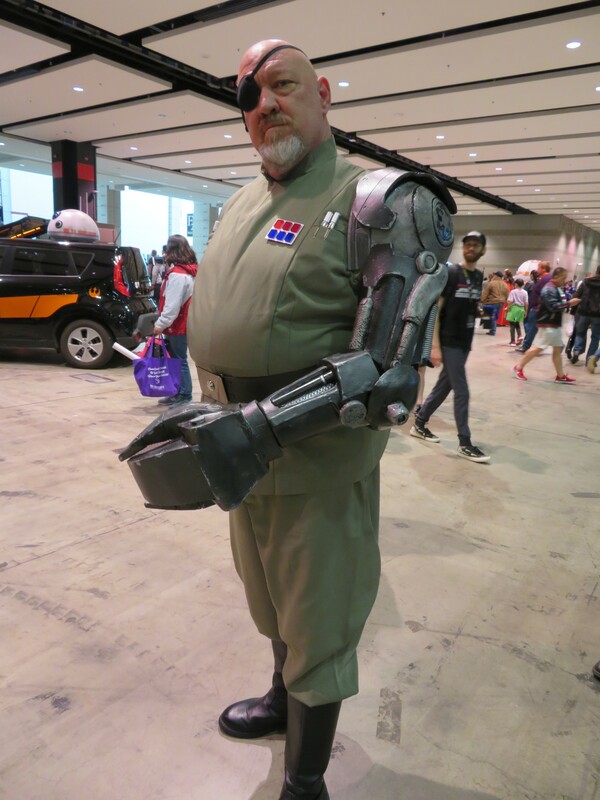 Insert obligatory if strained “Pickle Rick” joke. 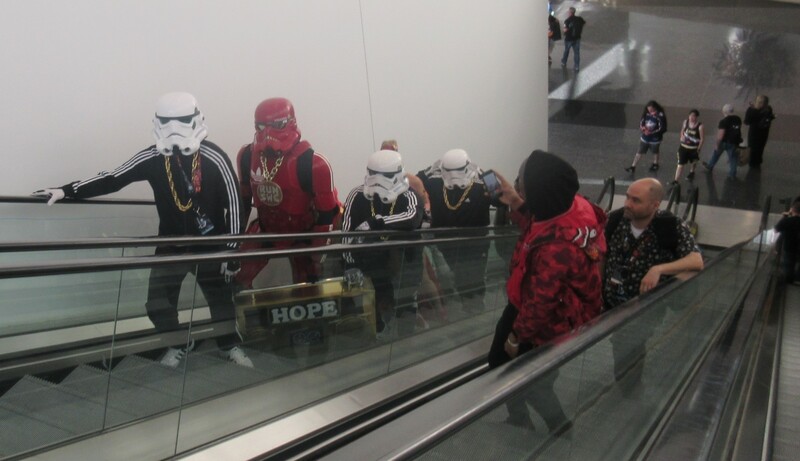 The Great Gonzo a.k.a. 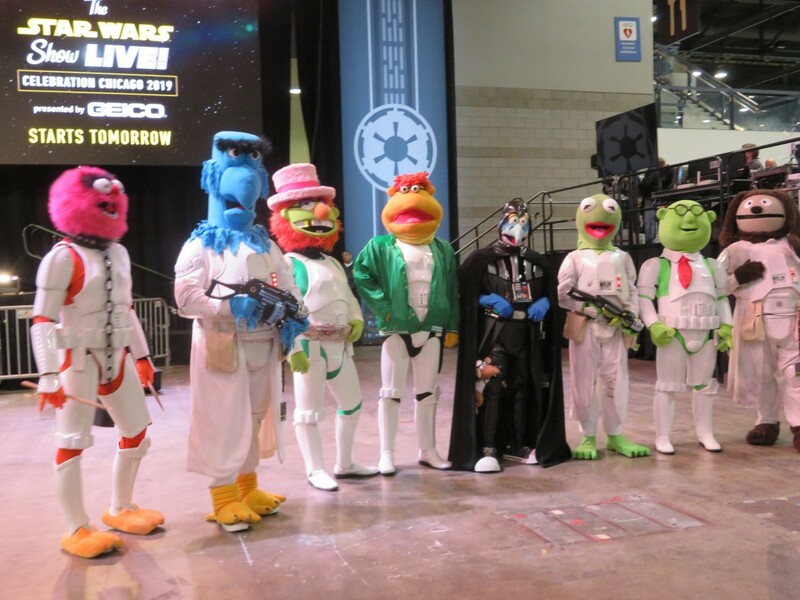 Dearth Nadir and his Muppet-troopers. 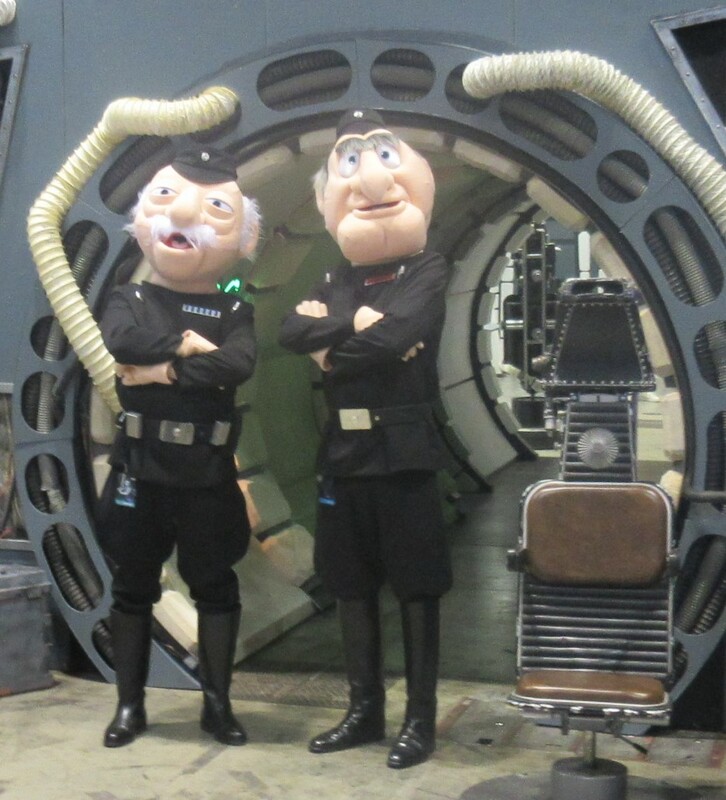 Imperial officers Statler and Waldorf give the Rebel Alliance two thumbs down.